Paris is one of those cities where it's worth it to stay in the iconic hotels, some of which are in the best locations. And if you have had the pleasure of staying in Paris before, many of the celebrated luxury hotels, like The Ritz and Hôtel Plaza Athénée, have been recently modernized and are now better than ever! Four Seasons Hotel George V 31 Avenue George V, 8th Arrondissement. 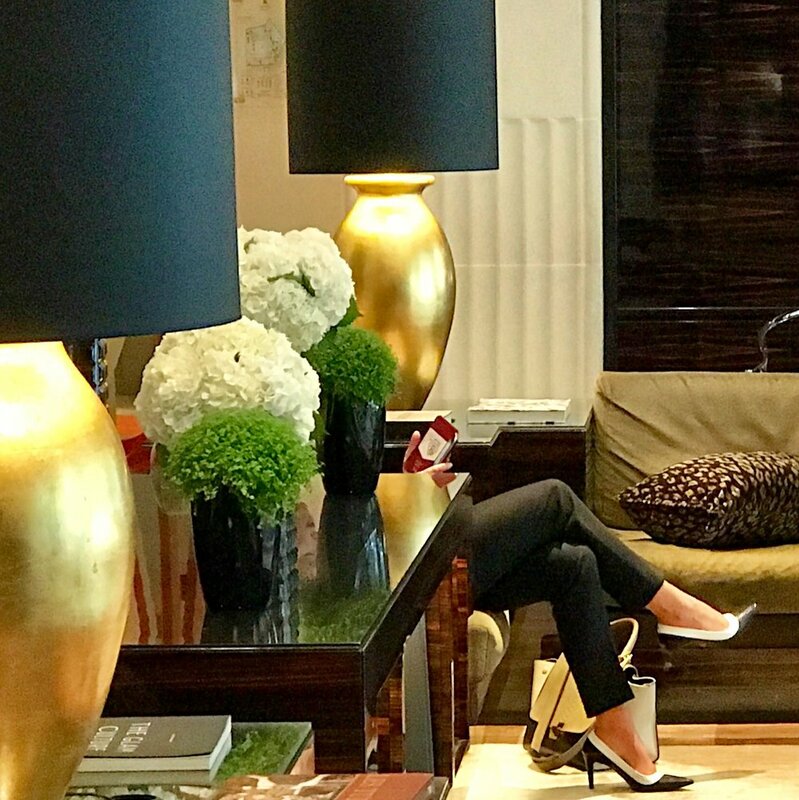 If you are prepared to splurge, this fancy hotel is one of my favorites (with my hubby, not my kids!). 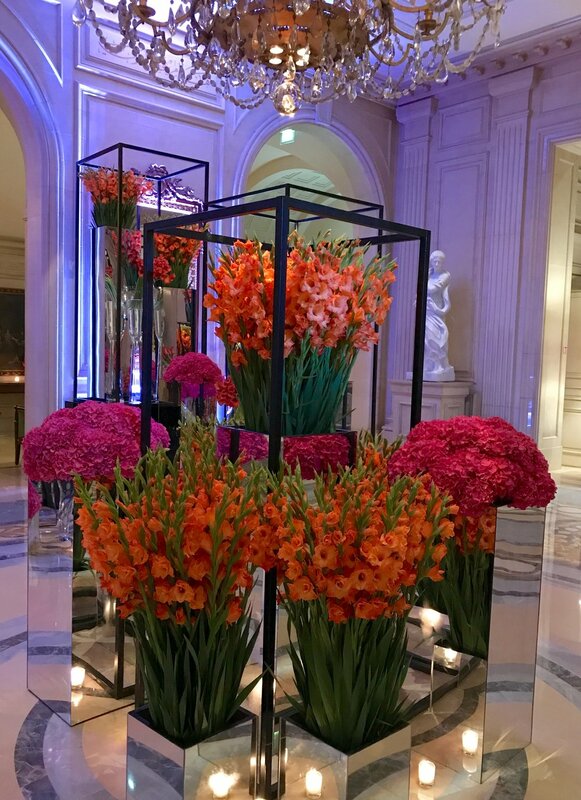 I love the elegant lobby bursting with blooms designed by Jeff Leatham, the intimate Le Bar for night-caps, and its convenient location close to the Champs-Élysées, Arc de Triomphe and posh shops is hard to beat. Hôtel Le Meurice 228 Rue de Rivoli, 1st Arrondissement. 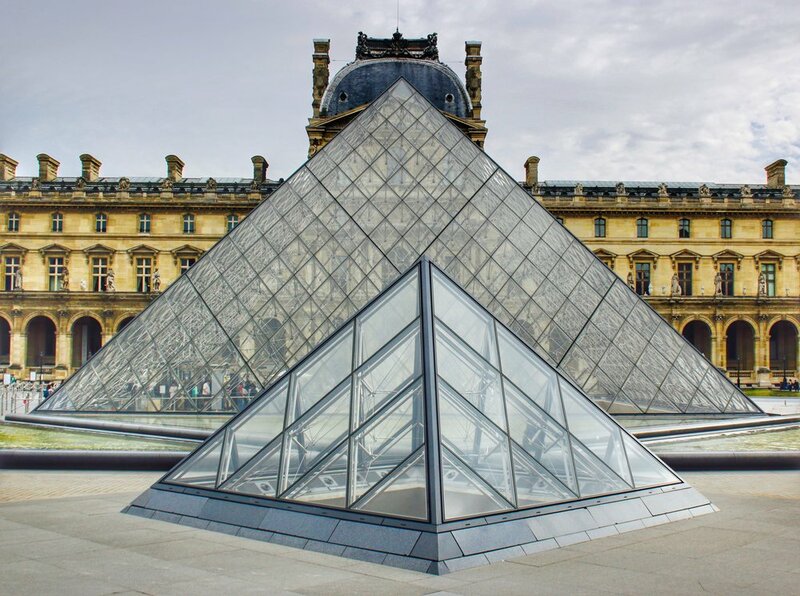 Located on the Rue de Rivoli between the Louvre and the Place de la Concorde, some say it’s the best location in all of Paris, especially for museum lovers. A great spot for afternoon tea, or cocktails at the exquisite Le Bar 228, where you can get an eyeful of Parisian glamour. Le Bristol Paris 112 Rue du Faubourg, Saint Honoré, 8th Arrondissement. Called one of the best in the city - located in the fashion, design, and art district - and home to the lux La Prairie spa. Gorgeous and spacious suites and bathrooms. Don't miss the retro pool with city views. Home to the Michelin starred 114 Faubourg restaurant. Prince de Galles 33 Avenue George V, 8th Arrondissement. (Next door to the Four Seasons) A beautiful Art Deco-era boutique hotel with sumptuous lobby and spacious rooms. The friendly staff doted on my teenagers who called the hotel “perfect,” (they loved the breakfast buffet!). Also convenient to walking to Arc de Triomphe, Champs-Élysées, and posh Avenue Montaigne. Just one mile from the Eiffel Tower too. The Peninsula Paris 19 avenue Kléber, the elegant 16th Arrondissement. Located just steps from the Arc de Triomphe, in a gorgeous 19th century building, this grand hotel with fresh blooms everywhere is totally Parisian. I was most struck by the doting staff - so warm. friending and accomodating; and believe me, no detail is spared in the suites! (An automatic nail dryer built into the vanity! If only I had a free minute to do my nails:) The hotel’s bars and restaurants are perfectly lovely, but my favorite spot is the rooftop restaurant, offering a stunning view of the Eiffel Tower. Je t’aime! The Ritz Paris 15 Place Vendôme, 1st Arrondissement. This celebrated and iconic luxury hotel recently underwent a major restoration. While it’s charming traditional style was preserved to its original gorgeous glory, now it is updated and modernized. Home to three restaurants and the stunning Chanel spa and pool. Whether you are lucky enough to rest your head in the fluffy down bed at night, or just pop into the historic Bar Hemingway for a nightcap, this hotel is truly grand! Bar Hemingway 15 place Vendôme, 1st Arrondissement. Inside the Ritz Hotel. While Cole Porter, F. Scott Fitzgerald and of course, Hemingway all had their favorite seats here; you can too! My husband’s top spot for a dry martini, but the bartender is also a wizard at concocting custom cocktails. A visit to Paris isn't complete without a stop in this cozy, classic bar. Bar Vendôme 15 place Vendôme, 1st Arrondissement. Housed in The Ritz Hotel under an elegant glass canopy serving breakfast lunch, dinner and of course afternoon tea - the place to sip and savor the spirit of a great Parisian brasserie. Benoit 20 Rue Saint-Martin, 4th Arrondissement. Quintessential cozy old Paris bistro set on the border of the hip Marais. The food and service are outstanding. Café Mareva 38 Rue du Faubourg du Temple, 11th Arrondissement. No gluten, no lactose and yes, still yummy! Chez Julien 1 Rue du Pont Louis-Philippe, 4th Arrondissement. 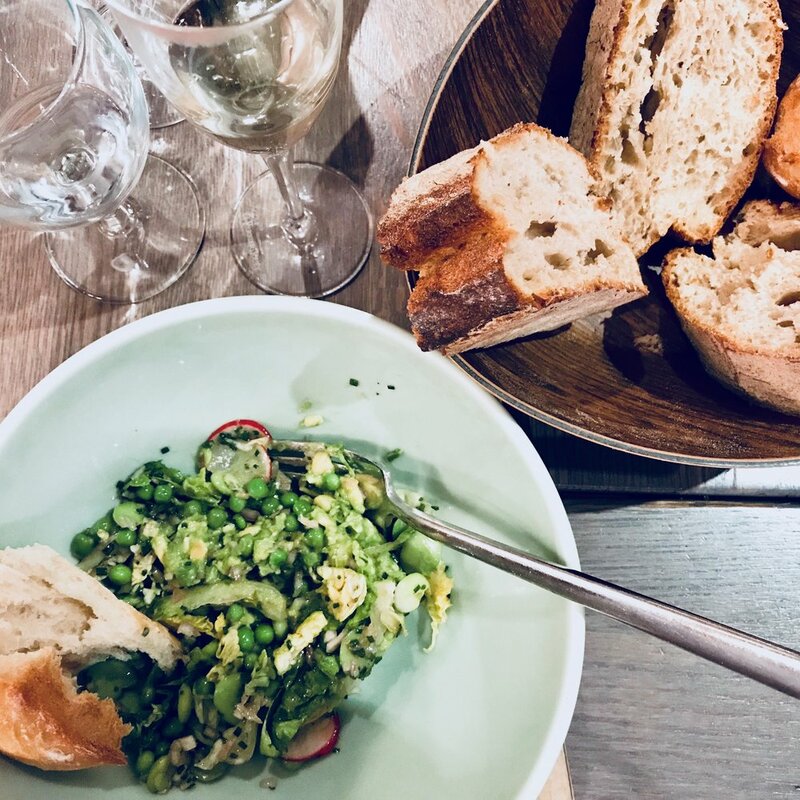 A classic, cozy, hip French bistro in the Marais just steps from the Seine and in the shadow of the Saint-Gervais church. Perfect steak frites and crème brûlée with pistachio and raspberries. We dined at a tiny corner table for two and it was so romantic. Can’t wait to return. Chez L’Ami Louis 32 Rue du Vertbois, 3rd Arrondissement. Really expensive, really hard to get a table but if you can get past those hurdles, the food is AMAZING! One of the best venerable bistros in Paris where you can rub elbows with celebs. Small, wood-paneled, wood oven, awesome wine list. Frenchie 5 Rue du Nil, 2nd Arrondissement. This cozy, farm-to-table neighborhood bistro gets booked months in advance. While it’s one of the hardest reservations to score, both your palate and your date will swoon and thank you for the effort. Across the street is the no-frills Frenchie bar à vins that only takes walk-ins, and a “Frenchie to Go” down the street for a tasty breakfast at a high top table or take-out. A trio worth visiting! A note: Frenchie is closed on Sundays. Fringe Café 106 Rue de Turenne, 3rd Arrondissement. Perfect for great coffee in hip le Marais. Where else do you get to sip café au lait under cool cloud-shaped lamps and take in this cafe’s photo gallery concept? Grenouilles 55 Rue du Chevalier de la Barre, 18th Arrondissement. 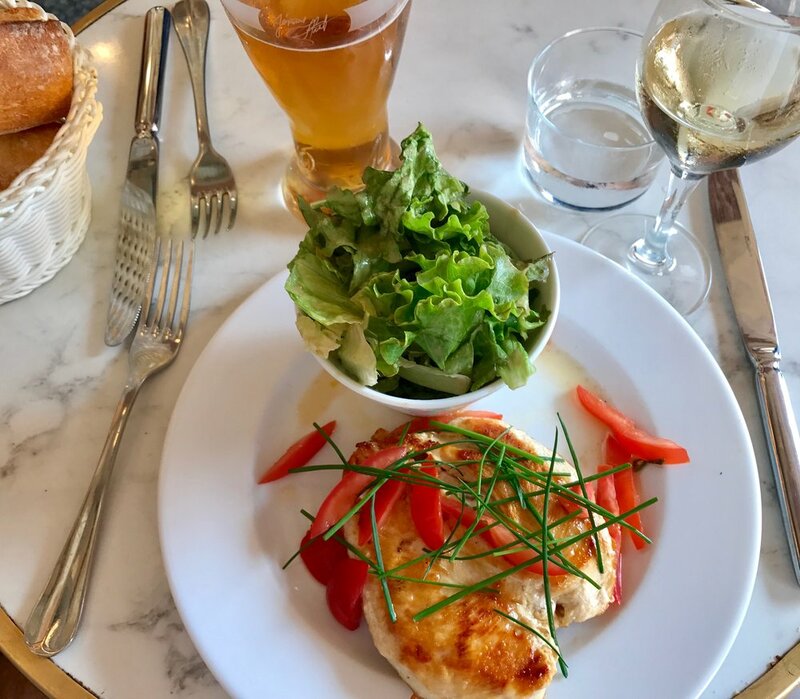 If you find yourself at Sacre-Coeur in Montmartre, be sure to stop at this little gem of a deli run by a husband/wife team and grab a glass of wine (great selection), a sandwich, or a fresh baguette, smoked ham and cheese for a picnic on the lawn of the SC Basilica. La Ferme Saint Aubin 76 Rue Saint-Louis en l'Île, 4th Arrondissement. Did someone say cheese? Yes, please to the mother of all cheese shops! A family run fromagerie with hundreds of flavors of cheese. Just steps from Notre Dame and the Seine, so select some cheese (love the Comte) and a baguette and enjoy an impromptu picnic. La Maison du Chocolat Carrousel du Louvre, 99 Rue de Rivoli (3 locations). For over 40 years their sublime chocolates have been called the finest in Paris. Whether you crave beautiful bon bons, traditional macaroons, pralines, éclairs, tarts - your sweet tooth will be more than satisfied! La Maison de L’Aubrac 37 Rue Marbeuf, near the Champs-Élysées, 8th Arrondissement. Meat lovers, this is your place! The prized meat, from the grass-fed Aubrac cows, is cured for 3 weeks+ to get it’s incredible flavor and taste. My son called his steak “heavenly.” We love the tasty avocado toast. Le Bar 31 Avenue George V, 8th Arrondissement at the George V Hotel. We always stop here for a cocktail (try the Just For You: vodka, violet liquor, litchi, champagne) either before dinner or late-night. Fun, well-heeled people watching. After you sit and relax on a plush settee, be prepared to stay awhile. Le Café Marly 93 Rue de Rivoli, 1st Arrondissement. Beautiful setting under the arcades of the Louvre Richelieu wing. Enjoy a coffee and croissant while you wait for the museum to open, or enjoy a tasty Croque monsieur and glass of wine for lunch. Le Duc 243 Blvd. Raspail, 14th Arrondissement. Slightly out of the way but supposed to be delish seafood. Cozy, essence of chic Paris restaurant. Les Marchés 5 Rue de la Manutention, 16th Arrondissement. An authentic neighborhood Parisian bistro where we felt like locals. Delicious steaks frites, friendly and welcoming service, good prices, and located in the Trocadero neighborhood that’s perfect for walking to the Eiffel Tower for a post-dinner stroll. L’Espadon 15 Place Vendôme, 14th Arrondissement. Michelin star restaurant at the Ritz Hotel. Fab, fancy dining perfect for special occasions. We celebrated our wedding anniversary with dinner here one summer evening and were serenaded by musicians. Ma Cocotte 106 Rue des Rosiers, 20th Arrondissement. This trendy, chic canteen designed by Philippe Starck is a cozy retreat within the Puces de St Ouen flea market (see “Stay & Do” section below). Conveniently located and housed inside a large industrial style building, on a rainy day this brasserie feels like a cozy cocoon. (Great service too!) Try the organic roast chicken and simple salad, followed by chocolate mousse and cognac. Maison Moinet 45 Rue Saint-Louis Île Saint-Louis, 4th Arrondissement. How can you pass up this cheery red storefront with pretty boxes of confections? So many sizes, there is sure to be one to fit in your carry-on. We purchased chocolates and caramels that we melted for our dessert at cooking school - sinfully good! Monsieur Bleu 20 Avenue de New York, 16th Arrondissement. Located in the Palais de Tokyo modern art museum, this chic and delicious restaurant offers views of the Seine and the Eiffel Tower. Burgers, foie gras, amazing pasta... the innovative menu changes with the seasons. Paris Gourmandises Place de la Concorde. When in Paris, enjoying a homemade crêpe is a must! This crêpe stand, conveniently located on your way to the Jardin Tuileries, has the best chocolate crepes. Try them with strawberries and/or bananas. The perfect snack between lunch and dinner (or anytime really!) There are also crêpe stands at the Eiffel Tower that are equally delicious. All that walking does make you famished. Poilâne 8 Rue du Cherche-Midi, 6th Arrondissement. This famous family-run bakery has been in biz more than 80 years. It’s bread is called the best in Paris, some say in the world. The pleasure of eating the signature loaf le pain Poilâne, the pain au chocolat or flaky croissants, is for many reason enough to come to Paris. Ralph’s 173 Blvd. Saint-Germain, 6th Arrondissement. 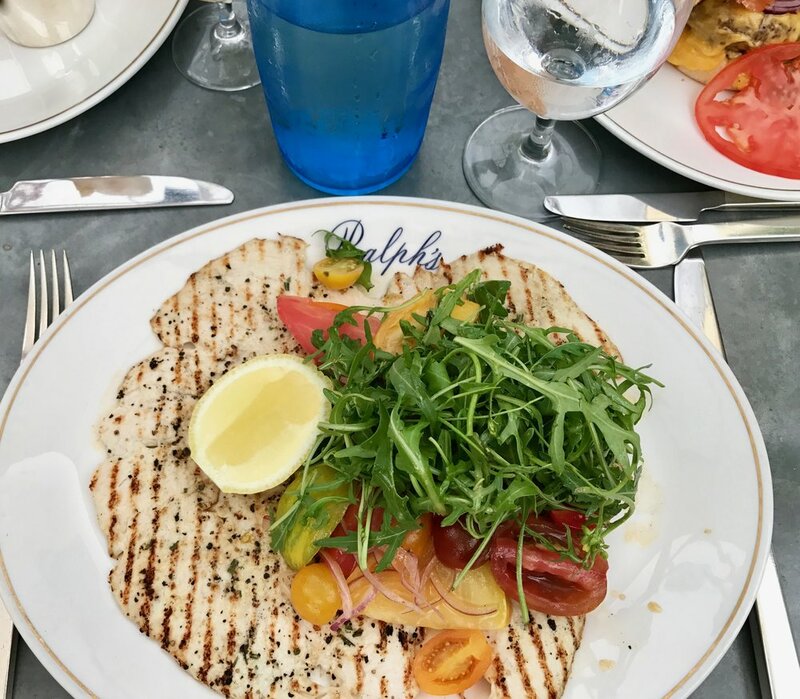 Go inside the elaborately appointed Ralph Lauren store, then out to the restaurant in the lovely courtyard. The hamburger is one of the best in the city if you feel a craving for American food. Added bonus: caramel popcorn is served with your coffee. Inside, the intimate bar is gorgeous & cozy and so very Ralph Lauren. Restaurant Costes 239-241, Rue Saint-Honoré, in the Hotel Costes, 1st Arrondissement. We enjoyed dinner here a few years ago before it was referred to as "...the city's reigning epicenter of cool," and can’t wait to go back to this always-happening club-like spot in the ultra chic fashion district. Fab people watching and good food. Try the tuna tartare, spicy lobster pasta, thai basil chicken spring rolls. Known as the world’s fashion capital that boasts some of the best shopping on the planet, from luxury brands to flea markets, there is something for everyone. Below are some standouts. Also worth noting is that for the entire month of January and July, as much as 75% is taken off retail items. (Yes! Almost justifies the cost of a plane ticket.) And on Sundays, many shops are closed. 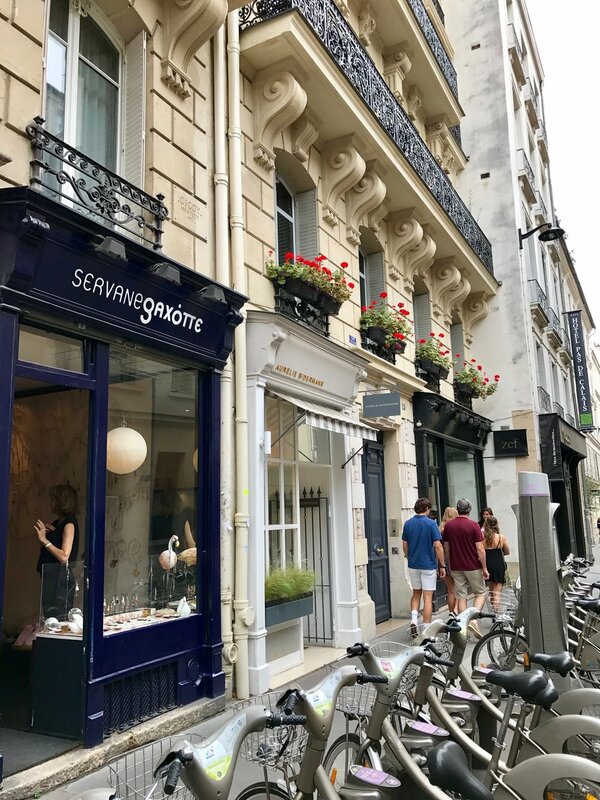 This guide is arranged by arrondissement, or neighborhood, to make the most of your shopping time. 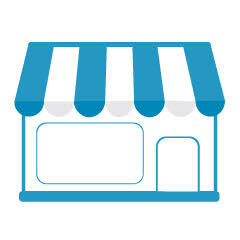 Do wander and step into boutiques that look interesting or inviting, often they are the hidden gems! Alexander McQueen 372 Rue Saint Honoré, 1st Arrondissement. This lavish, 5,300-square-foot flagship boutique, decorated in creamy marble, chrome, greys and pinks create a fun backdrop to browse. The ubiquitous ‘death’s head’ can be seen on a beutiful selection of jewlery and scarves, and of course, the unique handbags are exceptional. The sales associates were surprisingly friendly and I look forward to stopping in to say “Bonjour” to Noelle on my next visit. Astier de Villatte 173 Rue Saint Honoré, 1st Arrondissement. Gorgeous milk-white handmade pottery and tableware as well as glassware. While it’s well-located, it's hard to spot a sign out front. Christian Louboutin 19 Rue Jean-Jacques, 1st Arrondissement, (four Paris locations.) For me, it all started with a single pair of shoes. Leopard-print pumps with a red, patent leather heel. Purchased here 7 years ago and still trés chic! It’s always fun to pop into a Louboutin boutique for a fancy treat for your feet! Louis Vuitton 2 Place Vendôme, 1st Arrondissement. WOW! 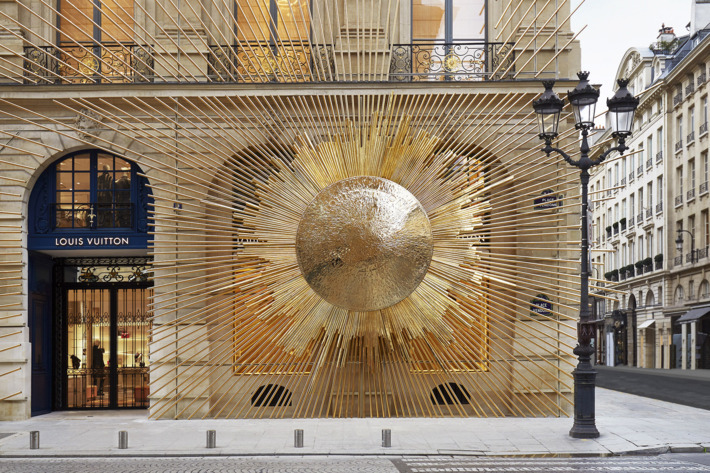 Is the word when you set eyes on this glittering gold new flagship store. Originally built in 1723 by Jules Hardouin-Mansart, the Palace of Versailles architect, this glam spot is something to see even if you aren’t in the market for new LV. Rue de la Paix 2nd Arrondissement. The luxury shopping destination is a short street that runs from Opera Garnier to PlaceVendôme. Lots of luxury brand boutiques. Merci 111 Boulevard Beaumarchais, Le Marais, 3rd Arrondissement. A cool concept store with vintage furniture, tableware and a floor of fashion. Take home a set of their delicate, dreamy linen sheets. Cécile et Jeanne 12 Rue des Francs Bourgeois, the Marais. We first discovered costume jewelry designed by this brother/sister team years ago, when my husband bought me a contemporary necklace with pink glass gems. This jewelry is fun and affordable. 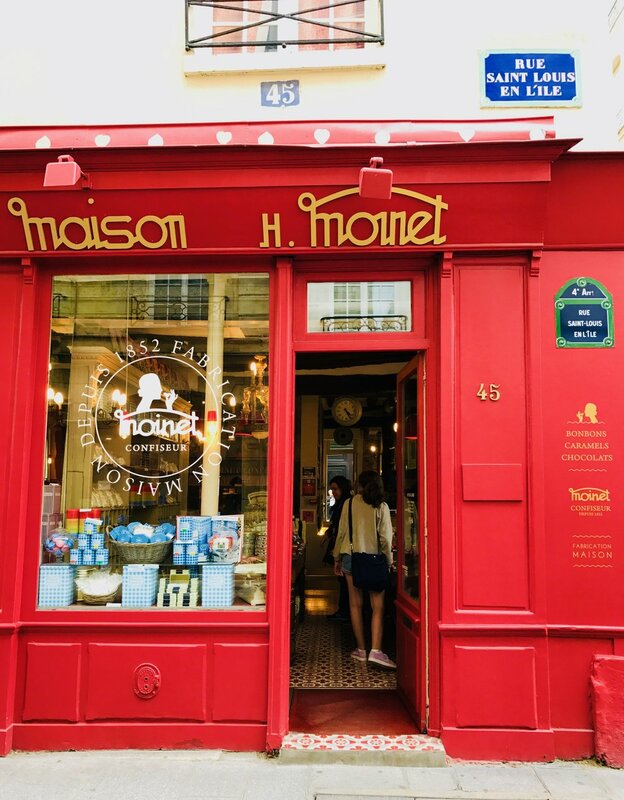 The shop is located in the Marais where there are several quaint boutiques to browse. Le Bon Marché 24 Rue de Sèvres. Credited with being the 1st department store, this beautiful Art Deco building features a range of brands plus a food hall La Grand Epicerie at 38 Rue de Sèvres a perfect place to refuel and rest your feet. 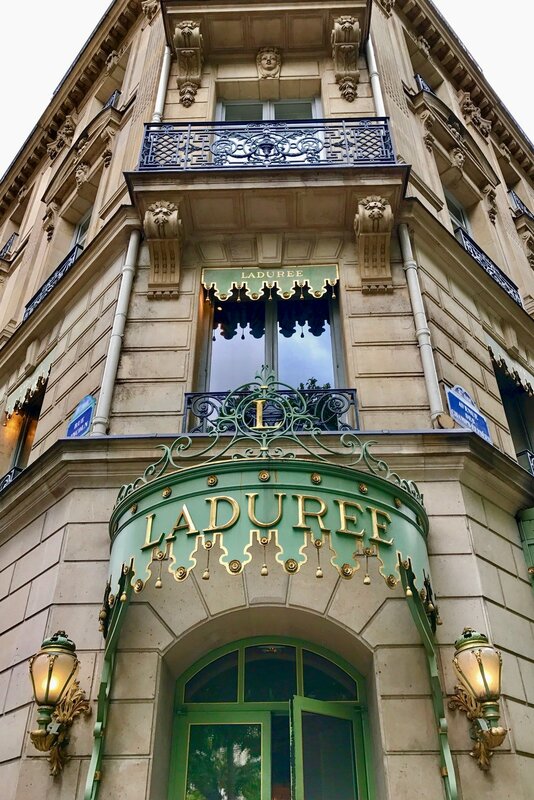 The 8th arrondissement is the well-heeled home to beautiful boutiques like Chloe, Givenchy, Hermès, and Lanvin, the oldest existing French couture house founded in 1889 by designer Jeanne Lanvin. Champs Elysées is arguably the most famous shopping street in Paris, if not all of Europe. It starts at the Place de la Concorde and runs west towards the Arc de Triomphe. While the bustling boulevard is fun to browse, and there are brands for every budget, be prepared for the crowds of tourists day or night. Dior & Jimmy Choo 30 Avenue Montaigne and 34 Avenue Montaigne. 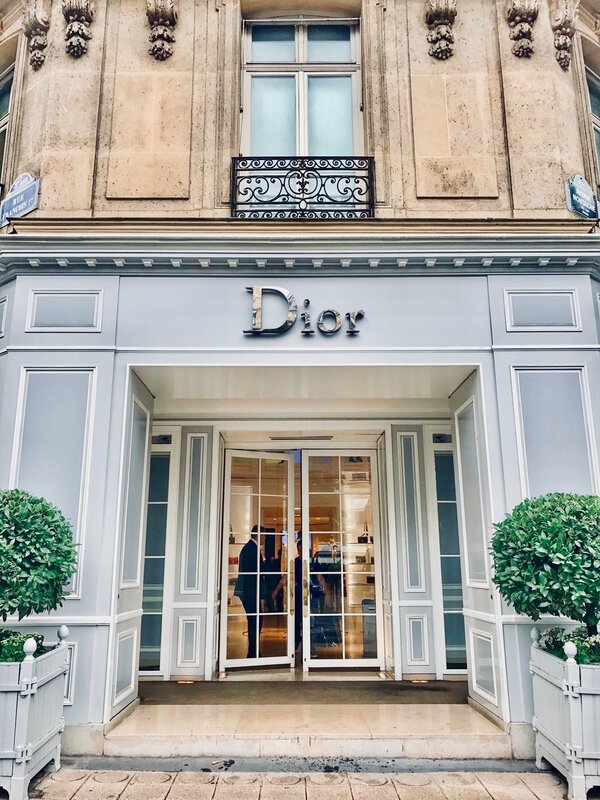 This glamorous avenue features first-class shopping with haute couture shops like Dior, Chanel, Valentino, Dolce & Gabbana, Gucci, Céline, Hermès, and Prada...Lots to ooh la la over! Ladurée 16 Rue Royale or 21 Rue Bonaparte (6th Arrondissement). (The Champs-Élysées location has long lines). Famous macaroons served in a tea salon with pretty pastel touches. (My girls loved it; my husband and son looked pained!) Buy the macaroons to take home at the end of your trip; they are only fresh for 5 days. Galeries Lafayette Boulevard Haussmann I had so much fun shopping here on a recent fall evening! This famous flagship department store has all the brands you can imagine, and a cosmetics floor to die-for! But the building itself, with it’s gorgeous Art Deco dome over the atrium, will leave you breathless. During the holidays, its window displays are magical. While other shops close in the early evening, this department store stays open until 9 p.m. While Paris is home to so many iconic monuments and must see museums, each time I visit, I try to discover something new. Below is a handful of activities both tried and true and brand new. During the high season, you may want to book museum tickets and/or guides online ahead of time. Blue Fox Bike Tours We LOVED biking through the city with a private guide from this impressive tour group. On these tours you stop briefly at all the notable monuments. Our guide Ben was knowledgeable and entertaining, and I appreciated that he engaged my teens! I recommend making reservations, and visit their website for a full menu of tours, meeting places, costs, etc. Eiffel Tower Discover this iconic landmark on foot, by bike or by boat. I’ve seen the “Iron Lady” from all three vantage points, and all are spectacular day or night. Ask your hotel to recommend a tour company if you want a guided tour that will enable you to “skip the lines”. Purchase tickets in advance if possible. One of the best places to view the Eiffel Tower is the Trocadero neighborhood in the 16th Arrondissement. Chanel au Ritz Paris Spa The Ritz Hotel,15 Place Vendôme, 1st Arrondissement. Indulge at this coveted spa that lives up to the hype - it’s dreamy, divine and decadent! Amazing skincare treatments available, and afterwards, have your makeup perfectly applied so you are ready for a night out. The Louvre Rue de Rivoli, 1st Arrondissement. While it’s no wonder the world’s largest museum is overwhelmingly crowded with tourists year-round, if you can, book a private guide to help you navigate the vast collection, or tour it at night. That nocturnal experience is said to be fantastic! However, if you don’t have time (or patience) to tour this museum, wander its grounds, gardens and stop in at the cafés. Musée D’Orsay 1 Rue de la Légion d'Honneur, 7th Arrondissement. Housed in a Beaux-Arts train station built in 1900 for the World’s Fair, this is one of my favorite museums. Get lost in the collection of Impressionist paintings, and take time to admire the striking clock viewed best from upstairs. 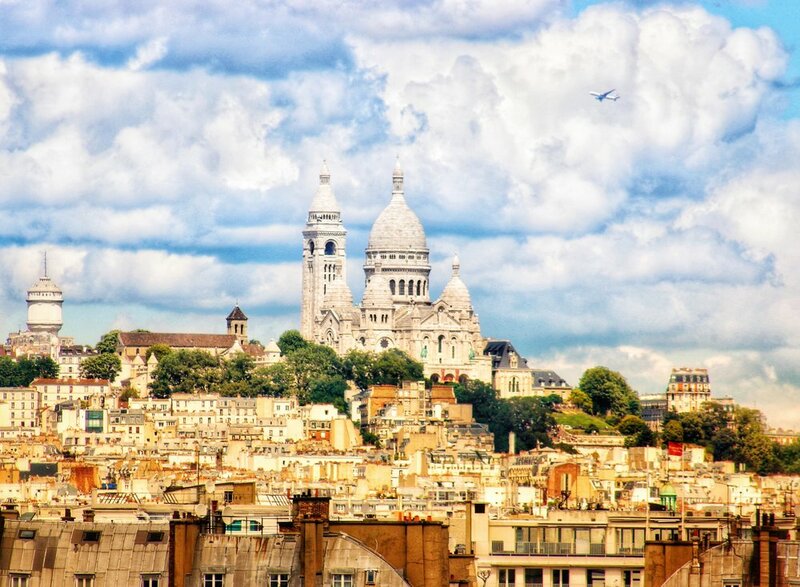 Don’t miss the views of Paris from the roof deck outside the Café Campana! Musée Picasso 5 Rue de Thorigny, 3rd Arrondissement. 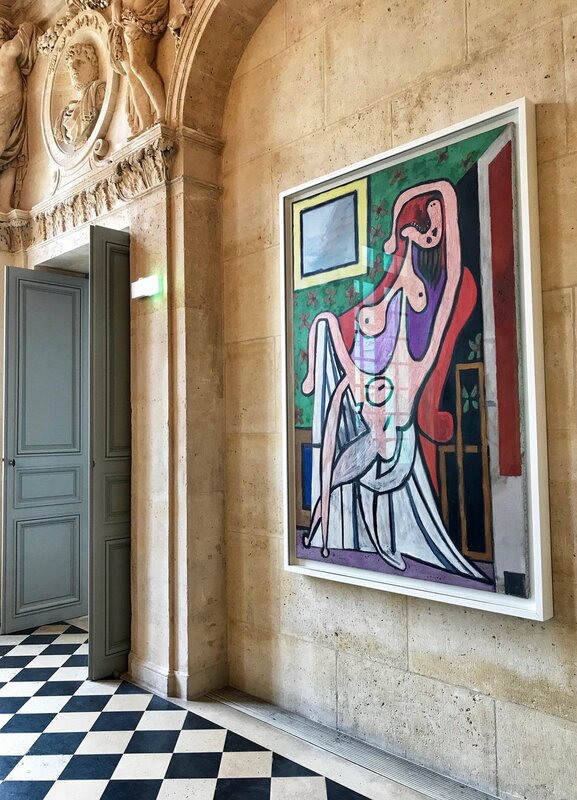 Boasting the world’s largest Picasso collection, this interesting, charming, lovely museum in the Marais is a wonderful way to spend an afternoon. Musée de l’Orangerie Inside the Jardin des Tuileries. The menu of Monet's works is truly a feast whether you are an art connoisseur or not. The twin oval rooms with Monet’s the Nymphéas (Water Lilies), painted in the artist's garden at Giverny and donated to the French state, are dreamy. So peacful and calming. While this petit museum is delightful for first-time visitors, it is equally pleasing for repeat visits. The gallery also houses an impressive display of the Walter-Guillaume collection of post-impressionist works. Musée Rodin 77 Rue de Varenne, 7th Arrondissement. So, so lovely! This gem of a museum is intimate and manageable in a morning or ½ day. However, once you see “The Thinker,” one of the world’s most famous sculptures, you may be inspired to sit and ponder it all day. The stunning Palais Garnier on Les Grands Boulevards in the 9th Arrondissement was built from 1861 to 1875 for the Paris Opera. I walked by it on a Friday evening and stopped in my tracks to admire the beauty of it’s 19th c. architecture of grand columns and arches glowing at twilight. If you have a chance to go inside, make sure to look up at the ceiling in the main auditorium painted by Chagall in 1964. Be still my heart. Palais-Royal 8 Rue de Montpensier, 1st Arrondissement. Called one of Paris' loveliest historic areas, there is so much to see and do here. The gorgeous gardens and courtyards are open daily. My teens loved posing with the modern black and white sculptures of Daniel Buren taking center stage in the inner courtyard. Place des Vosges, the Marais. 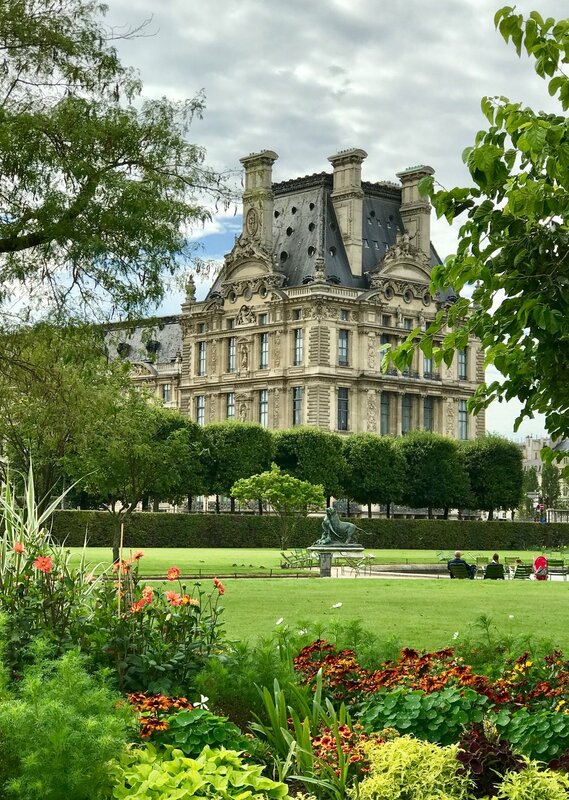 One of oldest squares in Paris and one of my favorite places to wander and window shop at the art galleries, or do as the locals do and lounge on the lawn in the center of the square. Also stop in one of the lovely cafés for a light lunch and glass of wine, or perhaps a croissant and café crème. Sacré-Cœur 35 Rue du Chevalier de la Barre, 18th Arrondissement. The highest point in Paris after the Eiffel Tower. Great area to wander, sit and enjoy a picnic, and people watch. If you are feeling ambitious, go inside and climb the basilica’s 300 spiraling steps to the dome for an amazing panorama of Paris. Note: it is always crowded in this vibrant neighborhood of Montmartre. The Marché aux Puces de St-Ouen (aka, Les Puces), 93400 Saint-Ouen, 18th Arrondissement. This famous (and now trendy) antique and flea market boasting nearly 2,000 dealers and thousands of visitors, is the perfect venue to search for a hodgepodge of trinkets (ie: costume jewelry) and treasures (ie: vintage Hermès scarves). Called the biggest flea market in the world, Les Puces can be overwhelming, so many hotels offer guides for hire to navigate and bargain for you. Versailles Place d'Armes, 78000 Versailles is only a 30-minute car ride from Paris and is worth a day trip. We enjoyed a spectacular ½ day private tour followed by a fabulous lunch at Gordon Ramsay at Trianon, 1 Boulevard de la Reine, 78000 Versailles, inside the Waldorf Astoria Hotel. The food and wine were delicious, our long lunch delightful, and the decor dreamy. With the Park of Versailles as the backdrop to this restaurant, it was easy for us to go back to the palace, rent bikes, and cycle around the grounds to burn-off our decadent lunch. Enjoy one of my FAVORITE cities!